Thank you to all who played along this week. 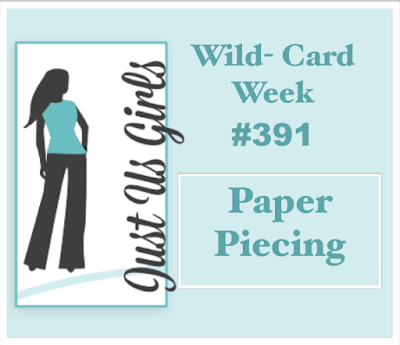 I loved seeing all your paper pieced creations! This is an excellent example of the paper piecing technique. 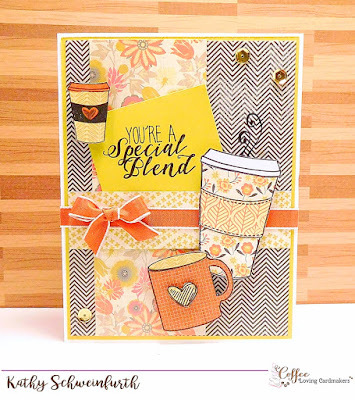 I love the various patterned papers she used, and her design is wonderful!! Congratulations Kathy!!! Please contact me, Judy, and I will send you your badge. Come back and join us tomorrow to see the WORD that Maria has chosen for our inspiration during our Word Week Challenge!!! Such a gorgeous card!!! Love all the papers! Congrats!